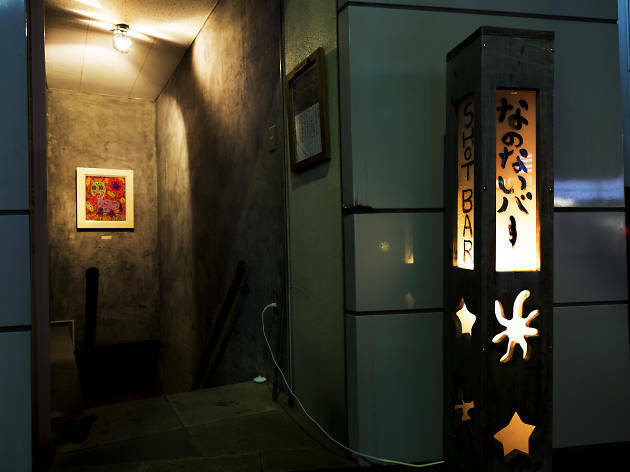 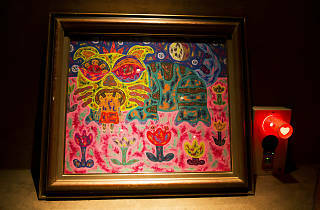 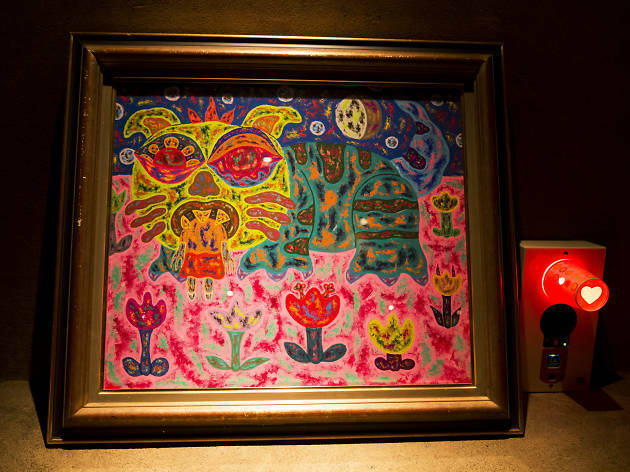 A painter and graduate of Tokyo University of the Arts, Kazuya Aoki creates art during the day and runs his bar at night. 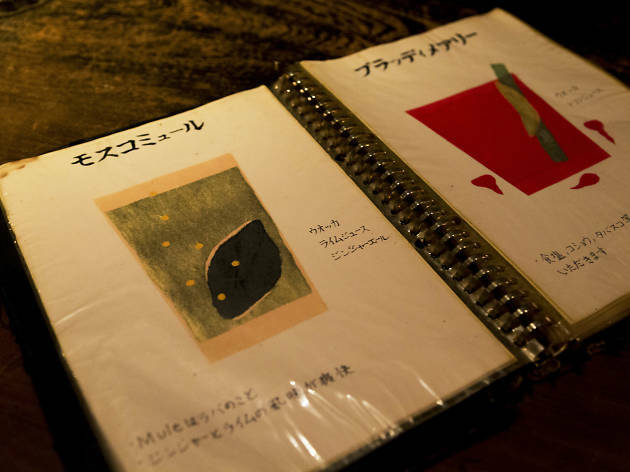 This is evident in the menu Yushima's Nanonai: every cocktail is presented on a single page, complete with a hand-drawn illustration. 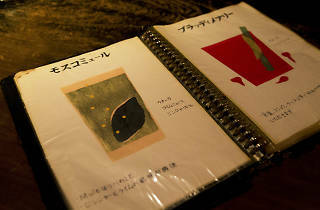 Browsing the book is so enjoyable that we almost forgot it was time to order. 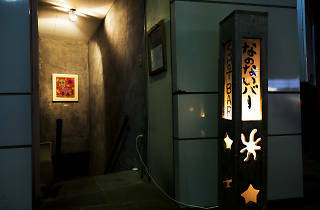 Aoki has also decorated the space with some of his own pieces. 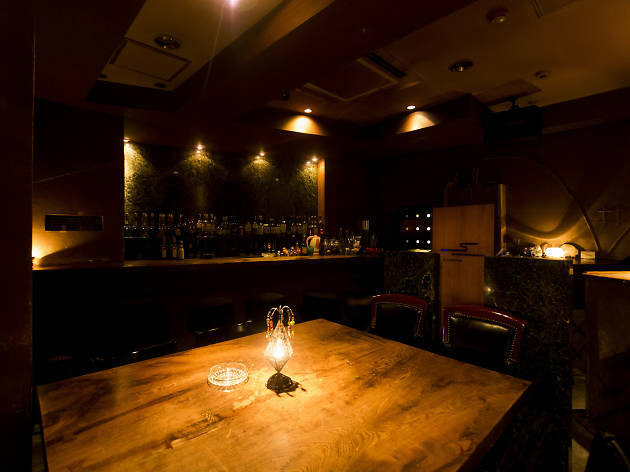 On the right is a ten-seat counter made from Yakushima cedar and shaped in the form of an overturned letter L, while a large table sits on the right. 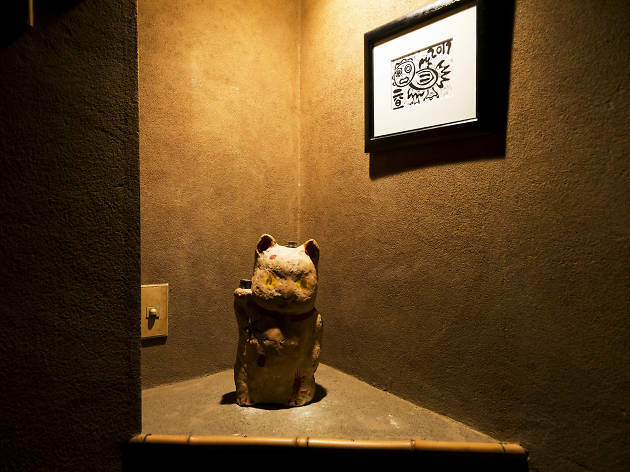 Adding to the frozen-in-time feeling are the gravel-embedded floor, soil-coloured walls and strange tin sculptures scattered around the bar. 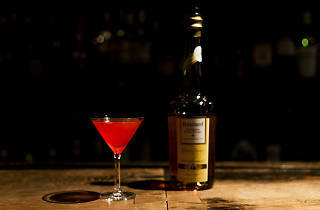 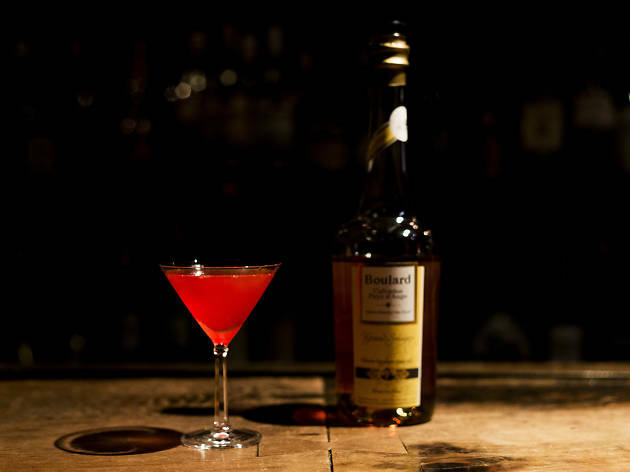 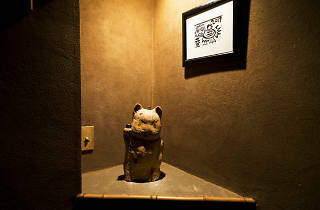 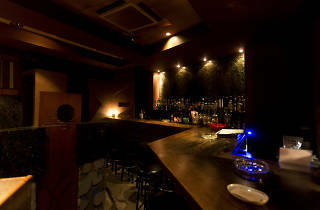 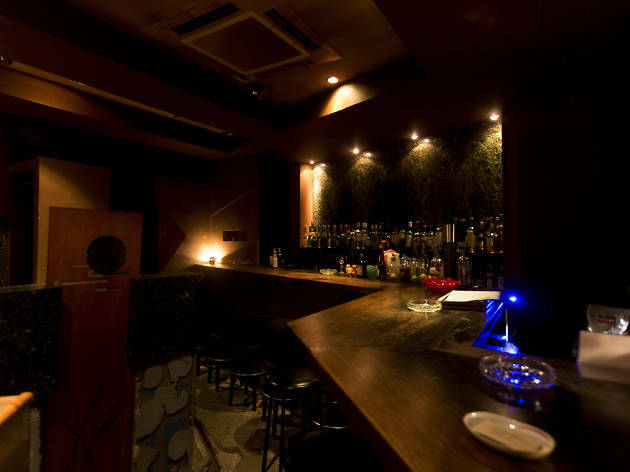 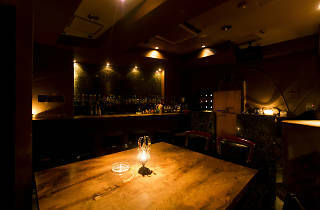 Although not exactly razor-sharp, Aoki’s cocktails are imbued with warmth and the gentle touch of a lover of the classics. 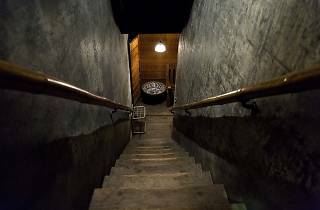 When you seek them out, head towards Yushima Tenjin from Ochanomizu Station and go almost all the way up the hill to find a somewhat suspicious-looking set of stairs leading down to a basement. 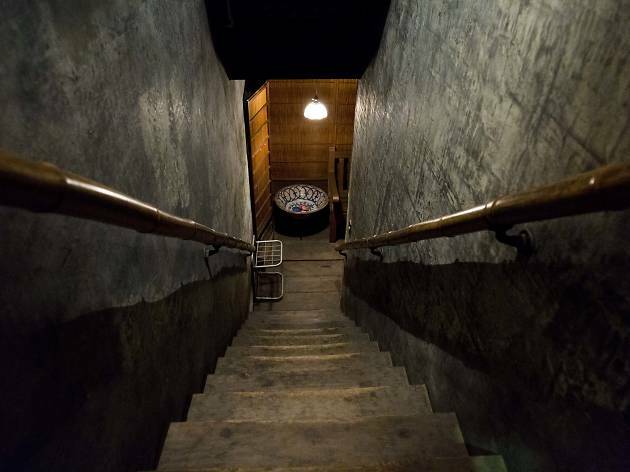 Don’t let the vaguely licentious appearance scare you away: a very comfy hideout awaits down there.